All new and upgraded BL™ motor doesn't utilize carbon brushes. This results in a much longer service life of the motor compared to drills with brush engines and eliminates heat up during operation. A charger is rather heavy and bulky. 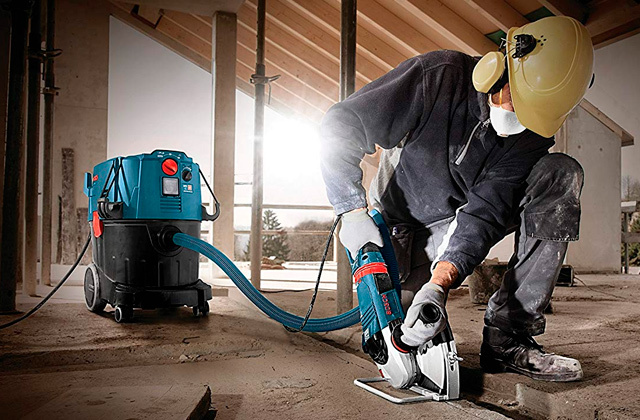 Fitted with the Extreme Protection Technology (XPT™), this high torque cordless drill from Makita features improved moisture and dust protection that makes it a perfect choice for heavy-duty jobs at harsh job site conditions. It will become the best helper for any seasoned builder. 24 torque levels provide a freedom of choosing an optimal option based on the task at hand and materials used. And you can quickly select the needed torque at a single click of a switch. The tool bag quality leaves something more to be desired. 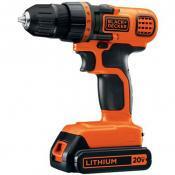 It's a highly convenient heavy-duty cordless drill that stands out for a meticulously though design. A special magnetic holder and bit storage allows having various drill and screw bits at hand just when you need them. On top of that, an all upgraded GRIPZONE™ handle provides a comfortable and secure grip. The kit comes complete with 2 all-purpose 20V batteries distinguished by quick charging and prolonged service life. 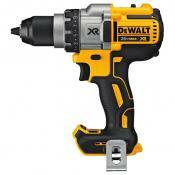 In addition, the batteries can be used with the majority of other Dewalt Max power tools. Rather noisy operation at maximum RPMs. 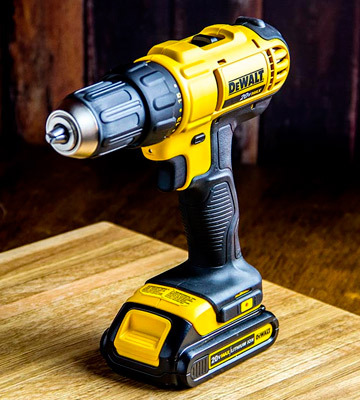 Similar to all Dewalt tool, this cordless drill perfectly combines power, reliability, convenience of use, and functionality. It offers high-quality build and consistently flawless operation, all of this making it popular among professionals and suitable for DIYers as well. Despite its bulky construction and pretty high motor power, this model weighs only 2.5 lbs with a 20V battery attached. Such lightweight design makes it especially convenient for extended use. There are only 11 torque levels available. 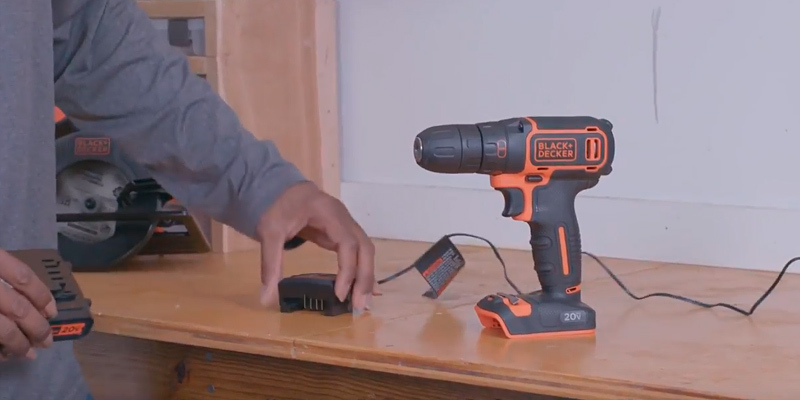 Compact and extremely lightweight, the Black and Decker cordless drill is an optimal solution for woodworkers, joiners, cabinet-makers, and sheet rockers. 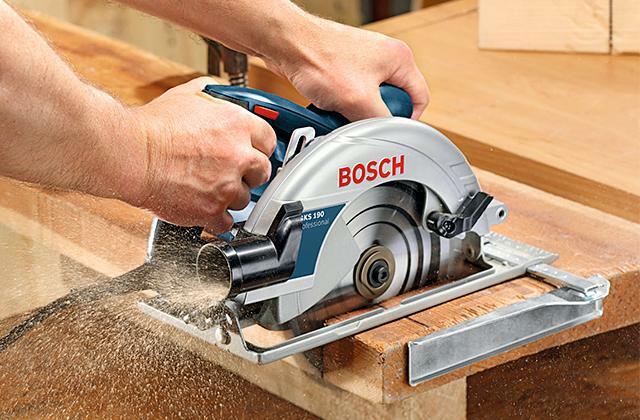 It will let you conveniently work in tight spaces and the 650 RPM torque delivers enough power for working with the majority of basic materials (plywood, wood, metal, and brick). The unit comes packed with a 30-piece drill bit kit that includes all sorts of bits for construction and installation jobs, enabling you to drill almost anything - from plastic to metal to brick. A pretty long Ni-MH battery charging time as compared to that of Li-ION counterparts. 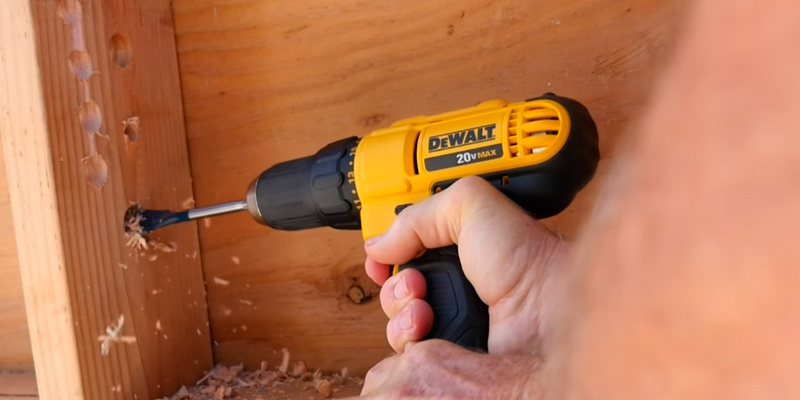 If you're looking for a simple and affordable yet functional, reliable, and efficient cordless drill for all sorts of home renovation jobs, look no further. 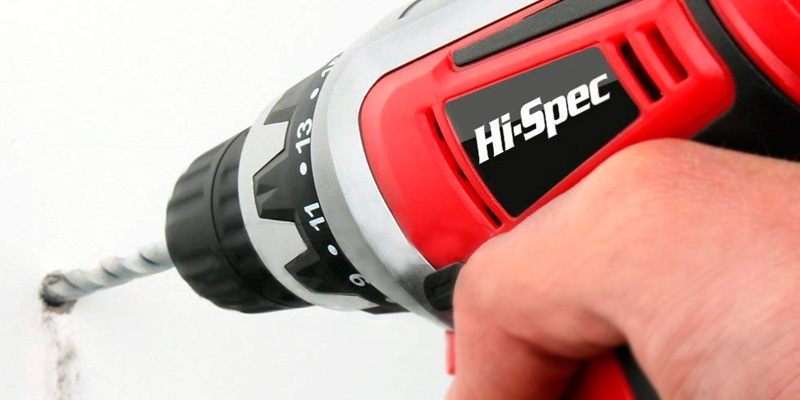 The Hi-Spec drill is a basic tool that won't hit your budget yet will offer you the kind of performance you'd expect from a premium-class model. 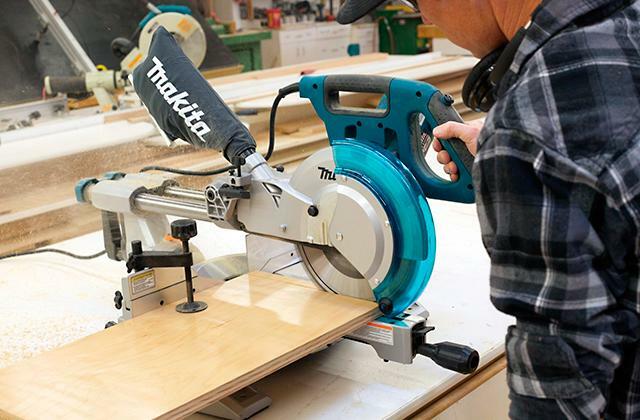 The 18-volt model from Makita comes with an array of handy features and accessories that will be a real find for any professional builder or renovator. 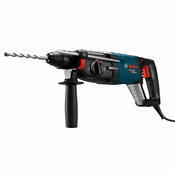 Providing cordless functionality, the drill features a 3.0 Ah battery that will deliver several hours of continuous use. 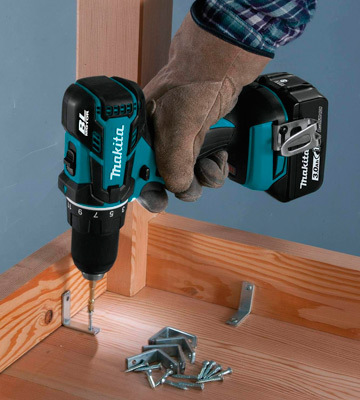 Unlike many other competitive models with similar batteries that are rather heavy, the Makita drill weighs only 3.8 lbs and is pretty easy and convenient to handle causing no excess arm strain. Thanks to a charger base included in the package, you can easily charge the tool anytime when needed. Despite the fact that it is not a super fast charging model, it takes the battery only about an hour to get fully charged which is a decent characteristic. Taking into consideration sheer numbers, the LXT base offers 3-time faster charging and the advanced battery system is securely protected from overloads, discharges, and overheat meanwhile prolonging the service life of the motor as well. Thus, this function alone makes this model one of the most reliable drills on the market. On top of that, the Star Protection technology allows monitoring the battery power level to keep it duly charged. 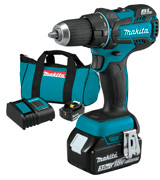 As for the heart of this heavy-duty cordless drill, the motor of the Makita XFD061 can generate the unmatched torque of 530 in-lbs and yield staggering 1550 revolutions per minute in just a few moments. Such torque to speed ratio makes this model a true power horse able to cope with various types of drilling jobs and perfectly perform on different materials ranging from softer wood and plastics to solid metal and bricks. Powerful and fitted with the branded battery system, the Makita is by far the most powerful cordless drill delivering drilling performance comparable to that of corded models. Since the Makita XFD061 is a brushless model, its engine doesn’t wear out as quickly as brush engines. One of the main advantages of brushless tools is that they don’t have to deal with frictions or voltage drops wearing out the motor and greatly affecting its operation. 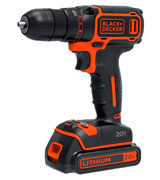 Packed with a powerful Li-ion battery and heavy-duty motor on board, this LXT drill will serve you much longer than other models in its class and deliver failure-free operation year after year. 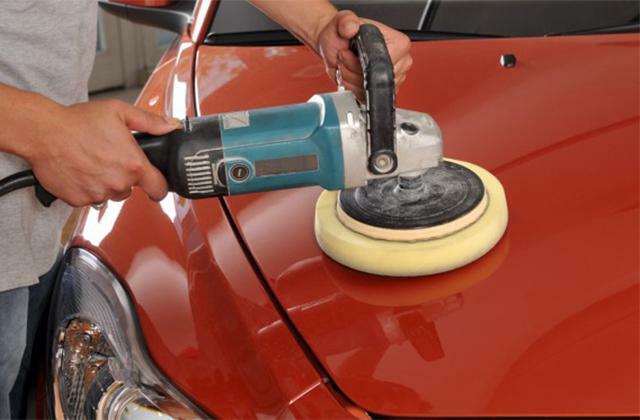 On top of that, made from plastic and rubberized materials, the tool features a special extreme protection technology preventing motor exposure to dust and moisture and further extending its service life. Meanwhile, two LED lights ensure convenient work under low-light conditions in dark spaces and pory lit areas with limited access to electrical outlets. As reliable and efficient as it is, the Makita cordless drill with light is a perfect choice for professionals and all those concerned about wisely spending their time and resources on repair jobs and renovations. 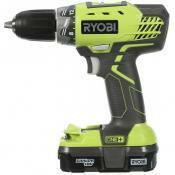 This 20V cordless drill from Ryobi will be a great gift for any beginner renovator as well as for an experienced construction worker since it offers all the features of a premium model embodied in a neatly designed housing. 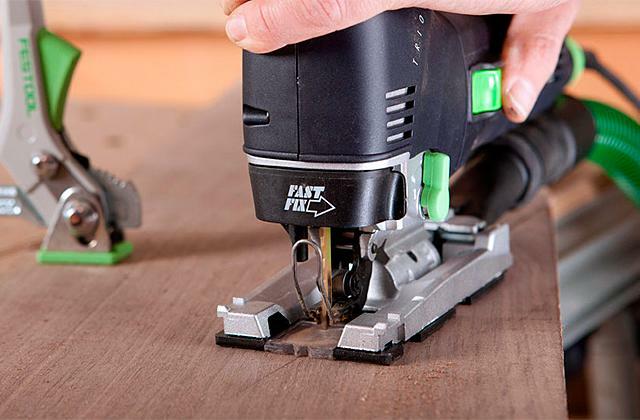 It's a brushless model that won’t even break a sweat when facing sturdy or dense materials such as hardwood, metal and even brick. 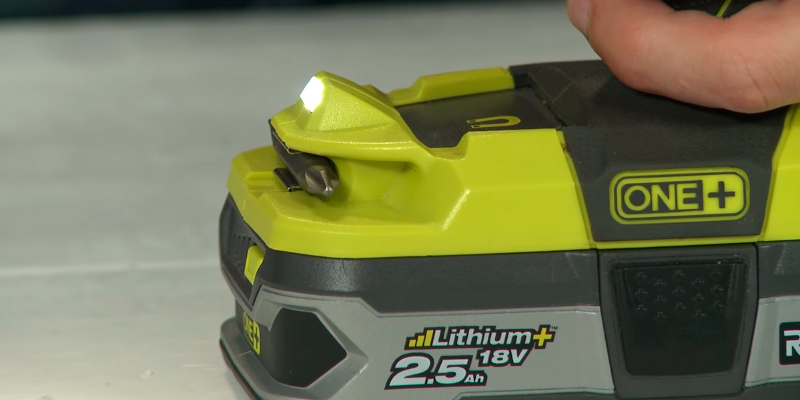 Belonging to the Ryobi One+ family power tools, the P1811 comes fitted with 2 Li-ion batteries compatible with other tools from this Japanese brand. 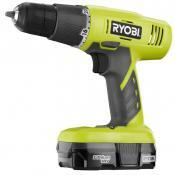 Hence, you can use the batteries with other Ryobi power equipment without a hassle. 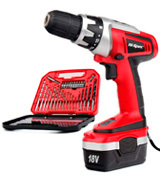 Along with two batteries, the tool package contains a charger to juice the batteries up when needed and a carry bag to conveniently store and transport the drill along with its accessories. 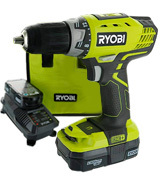 Notably, the patented Ryobi charger is capable of charging all types of 18V batteries produced by the company that allows you to conveniently use it not only for this particular cordless drill but also for any ONE+ series device. The IntelliPort of the appliance with its colored LED lights will conveniently display the battery charging status. By following the manufacturer’s instructions and utilizing the charger correctly you can significantly prolong the service life of the batteries. Subject to being properly charged and maintained, the batteries can hold the charge for several hours of continuous, intensive use. 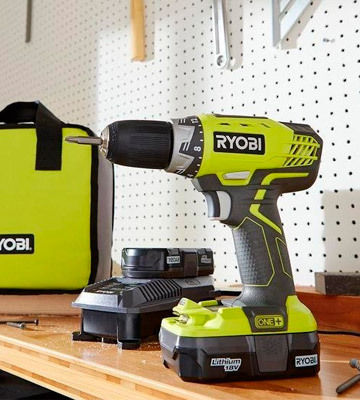 Coming in a bundle with 2 branded rechargeable interchangeable batteries, the Ryobi cordless drill will cater to the majority of routine drilling needs and help you build your collection of Ryobi power tools. 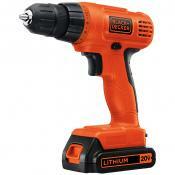 The battery itself is fairly light, so it contributes to an overall light weight of the tool. 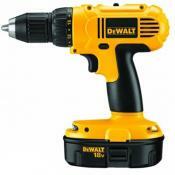 With the battery attached, the drill weighs only 2.7 lbs, so, it is quite easy to operate even with one hand. What is interesting about this model is that despite the mediocre battery capacity it still manages to reach the breakneck drill rotation speed of 1600 revolutions per minute, which puts the Ryobi P1811 on the pedestal of the powerful cordless drills. The unit can achieve the maximum torque level of up to 350 in-lbs while 24 torque options give you a freedom to choose an optimal level based on the task at hand and materials used. And you can quickly select the needed torque at a single click of a switch. As for convenience of use, the device is equipped with a special MAGTRAY™ for storing metal drill and screwdriver bits. What is more, the tool features a triple LED system that offers an excellent illumination of the work surface and allows for an easier operation when working with materials that produce a lot of dust. 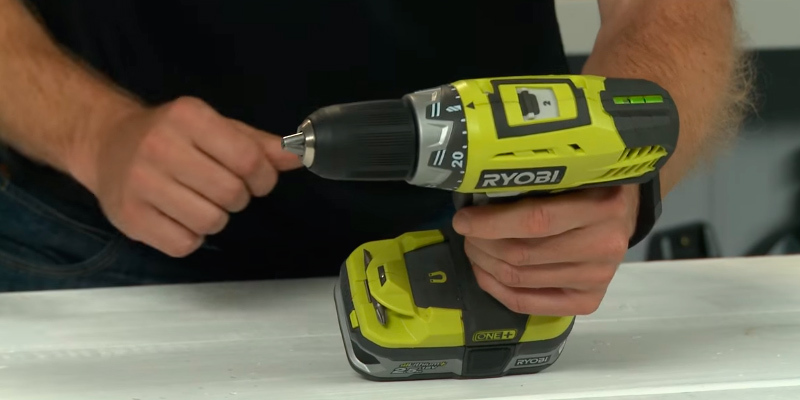 As you can see, thanks to its amazing capabilities meant for heavy-duty works, this high torque cordless drill from Ryobi will come in handy for any professional and amateur builder. The batteries are lithium ion and as much as I have used it I am still on the original charge. 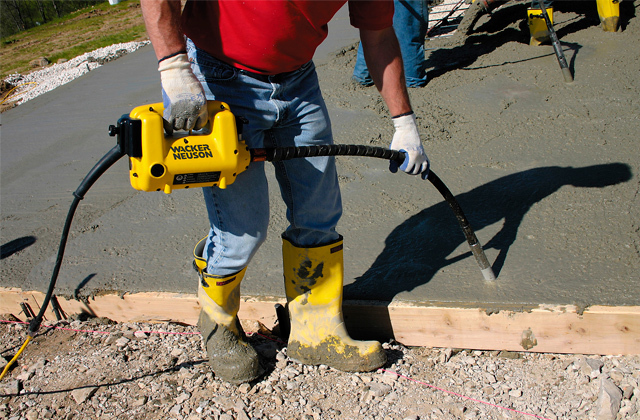 The drill has plenty of power to get the job done and don't have to mess with a power cord. The smaller size is perfect. Also swapping the battery to use in my 6.5 inch ryobi circular saw was awesome. 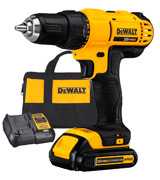 The DeWalt DCD 771C2 is a 20-volt model that holds a real punch inside its small engine which makes it an ideal choice for basic drilling and fastening tasks. 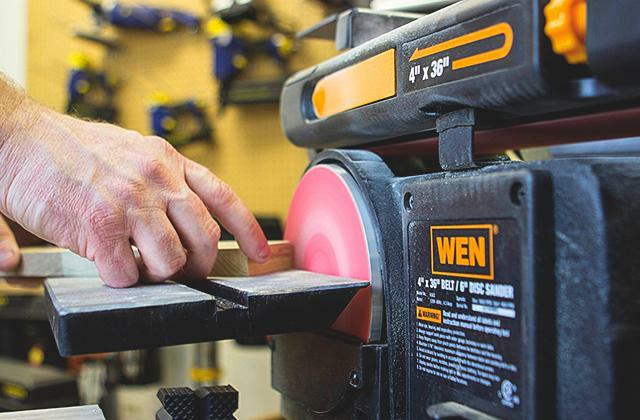 Since the device is able to reach a stunning 1500 RPM in just a few seconds with a simple press of a trigger, it can become your best friend when it comes to all sorts of renovation jobs, be it decking, installing drywall, or attaching moldings. 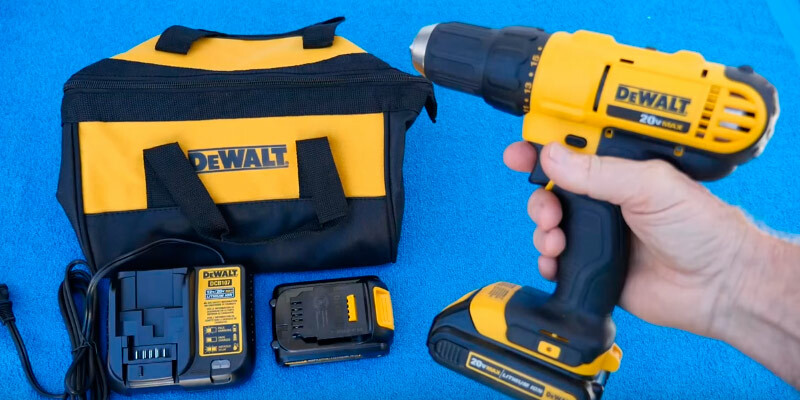 Two powerful batteries that come with a tool, paired with a forceful driver, make this compact cordless drill a true workhorse and a real bargain. Out of the box, we recommend that you perform two charging cycles in order to not have issues with batteries charging in the future. If you do that, the batteries will serve you faithfully for a long time. The recharging takes about 2 hours, which is the average time typical of cordless tools, and the full charge provides up to 9 hours of continuous operation, long enough for most jobs. Like with many other tools, the batteries are fully compatible with other DeWalt tools, which makes the DCD 771C2 a very good value. In addition to the tool, the package contains a carry bag where you can store the tool and all its accessories. In addition to excellent mechanical capabilities, the device features several convenience options enhancing its overall usability. 3 LED lights will let you conveniently work with dark wood species or facilitate the operation in case there are no other light sources around. What sets DeWalt LED light from others is a special stay-on function that keeps the lights on for another 15 seconds after you release the trigger. This feature will be really helpful when you decide to check out the drilled holes in the dark. 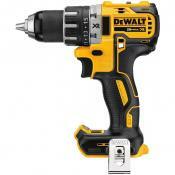 The quality of the tool construction is second to none as you would expect from DeWalt. All parts are made of metal and solid plastic contributing to the overall durability and wear-resistance of the drill. Additionally, the rubberized padding on the handle provides firm, secure, and comfortable grip adding stability and balance during operation, which is crucial for making accurate drill holes. Though the device lacks some bells and whistles of more sophisticated premium packages, this powerful model will still be a perfect fit for professional construction workers and rookie handymen alike, since it does get the job done quickly and efficiently. 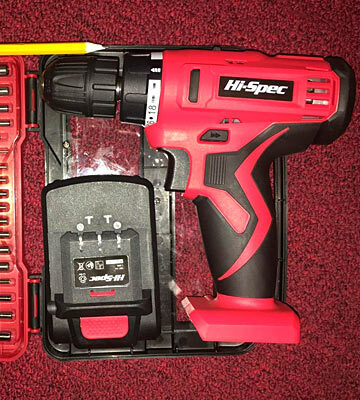 At first I was very impressed, the torque and performance was very good and the battery seemed to last a long time, much better than the old Bosche cordless drill I had for many years. Great product at a bargain price. Plenty of power, solid construction and good battery life. It comes with 2 batteries which is an important feature. Given the light weight of the battery, the drill does seem a shade top heavy but it's easy to get used to. Being a budget-friendly option, the Black & Decker is a great choice for handling most basic tasks. 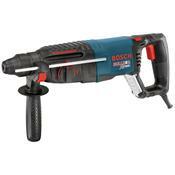 It can drill through plywood, thin metal as well as brick and rocks of moderate density with ease. 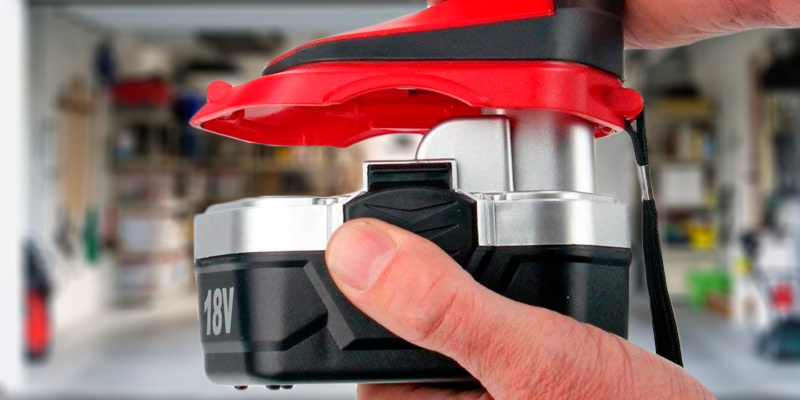 The BDCDD120C is one of few cordless drills that come with already charged battery, meaning you can try it out right after unpacking the box. Also, the BDCDD120C is one of the less expensive tools that have both a battery and a charger included. Of course, this drill might be not enough for daily drilling tasks but if you're only a weekend warrior and search for a good quality tool, this one will fit you fine. It's light in weight and has a comfy grip so you can hold it in hands comfortably. Despite such lightweight design, however, the BDCDD120C has a rather powerful 20V motor, capable of producing up to 650 revolutions per minute, which is nothing short of impressive given that the tool's weight is only 2.5 lbs. Compared to drills from the same price range, this is the fastest we've seen. 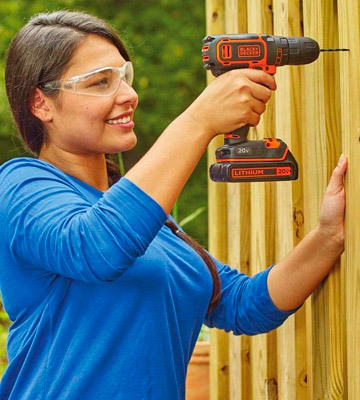 Ready-to-use right out of the box and so light in weight, this Black & Decker cordless drill is ideal for prolonged monotonous drilling tasks. 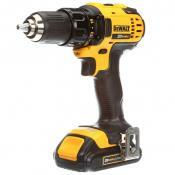 It delivers sufficient power and drill different materials perfectly. The BDCDD120C features a keyless chuck that offers an effortless bit changing. Simply turn the chuck and it will release a bit. Likewise, you can fix it in place by turning the chuck in the opposite direction. As for the housing, it is mostly made of sturdy plastic with some metal joints and rubber paddings for a more comfortable operation. Thanks to the rubberized inserts, the handle is soft to the touch and ensures firm and secure grip even when holding the unit with damp hands. We have found one thing to be quite unusual in this model. Typically the drill LED lights are installed directly behind the chuck. However, this model’s LED light is installed directly on the bottom panel of the device and is facing the drill bit. This creative design might appear helpful in some cases, yet, there is no way to check how clean the drilled hole is. Albeit that minor inconvenience, the light is still bright and can be used quite effectively while performing power drilling and driving screws, especially at poorly lit work sites. 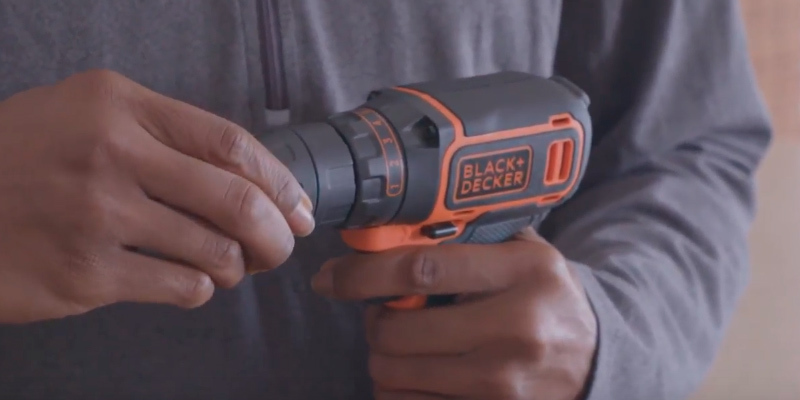 Though limited in speed options, this cordless drill with light from Black & Decker can easily surprise even the most sophisticated renovators with its convenience features. The Apollo DT30322 is one of the few drill models that come together with a full set of drilling bits. The kit includes everything you would possibly need for working with wood, metal and other solid materials. The accessory kit includes 17 drill bits and 10 screwdriver insert bits. What is more, the set contains a handy countersink bit as well as an extender designed for especially complex projects. All bits are delivered neatly organized in a hard storage case for safe and convenient storage. Owing to such a comprehensive accessory set, the tool can be used for a variety of jobs, from masonry and woodworking to various metalworks. 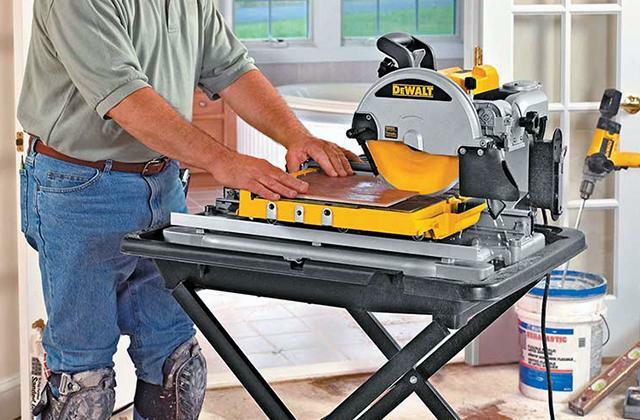 Thus, you will be able to drill metals, bricks, rocks, and high-density woods with ease. The titanium coating of the drilling bits contributes to the longer service life of the tool, which is quite nice considering the affordable price of this model. A keyless ⅜-inch chuck of the device is quite easy to use as compared to other counterparts that are equipped with key chucks. Other aspects that should be paid attention to when selecting a cordless model include such things as a battery capacity and portability of the tool. In this regard, the Apollo DT30322 doesn't tail behind its rivals. It features a 1000 mAh battery that offers 12 hours of continuous drilling, and weighs only 2.6 lbs that makes it easy to use for prolonged periods of time. And unlike the majority of tools with a similar weight, the Apollo DT30322 is well balanced, allowing for precise and accurate drilling even at maximum speed levels. A fully-fledged cordless drill kit from Apollo is a great choice for those who have to tackle various drilling jobs and tasks on a regular basis. With regards to speeds, the model features a variable speed function that allows you to quickly change a no-load speed from 0 to 550 RPM by simply pressing the trigger. To be more specific, the harder you squeeze the trigger the faster the motor will turn the driver. As far as other engine capabilities are concerned, the motor can reach the maximum torque of up to 18 Nm without a hassle, all of this thanks to a high-quality battery that powers it. An ergonomic tool handle provides a comfortable and secure grip no matter what. Moreover, the handle also features a magnetic tab to keep all the necessary bits at hand when performing some kinds of works. Tab magnets are pretty strong and will not let the bits fall out even in the most extreme conditions. This lightweight cordless drill from Apollo is a reliable and easy-to-use model with amazing autonomous capabilities - there is not much more you could ask from a budget model. In this review, we will consider the cordless drills as they are the most sought-after helpers at home or on the construction site. Such drills are very flexible and feature all the main functions of the corded drills. Mobility is the main difference of a cordless drill. 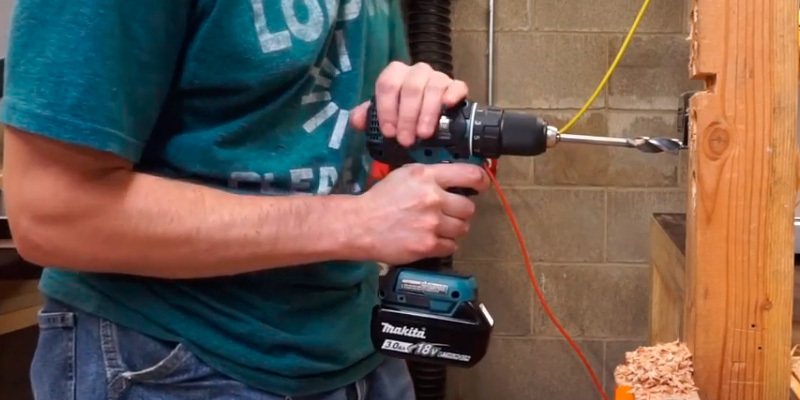 The cordless drill is heavier than the corded analog, yet it is more convenient. 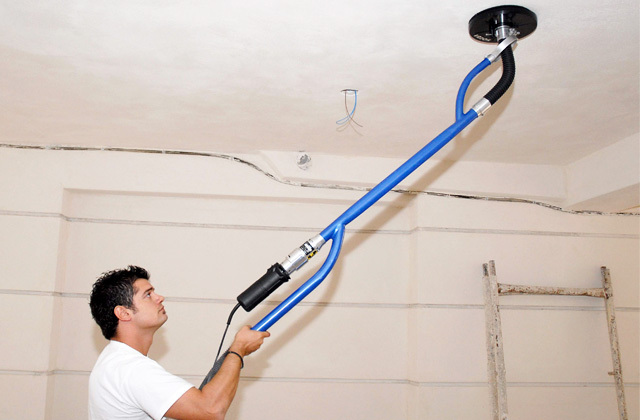 If you have to work for a long time and perform the hard tasks, you need the powerful mains operated tool. So, we advise you to give a glance at hammer drills or power drills and choose the tool according to your needs. Torque is the first thing that’s got to be considered before purchasing. This is the torque that determines the force that the drill will use to rotate. The cordless drills with bigger torque are more versatile and suitable for multiple jobs – they can screw/unscrew the fasteners and drill the holes in dense materials of various thickness. Rotations per minute is another essential parameter to look at. The higher this number is, the more powerful the drill will be. 500 RPM would be definitely enough for simple works like screwing while drilling would require at least 1000 RPM. Chuck size and drill speed are the main parameters that determine the diameter of a drilling hole. For the matter, the material also matters. Drilling into wood compared to drilling into a denser material will always result in bigger drilling holes. To ensure long-term operation, the drill has got to have a high-performance battery. 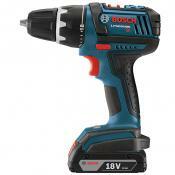 Usually, the battery life is predetermined by a few factors - the material the drill is used for and work duration. So if you often use the drill and for heavy load jobs, it may a good idea to purchase one more battery and keep it at hand. 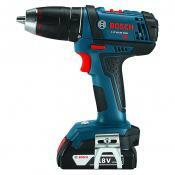 Every cordless drill features its own control system for various drilling needs. 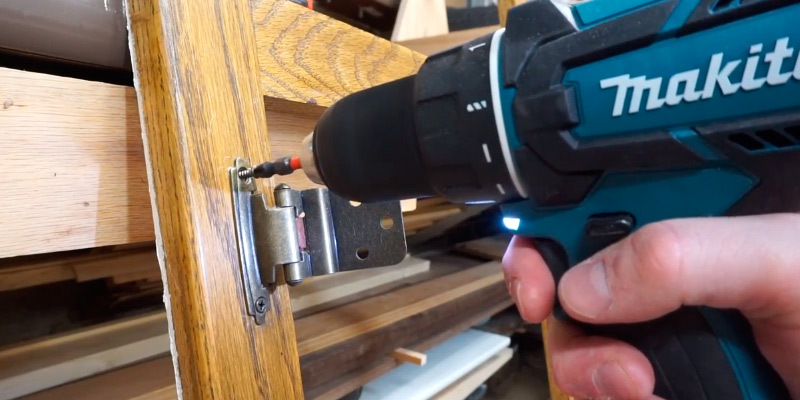 A trigger to control the speed of drilling will ensure convenient operation while a reverse switch to change the direction of a drill bit will let you handle most jobs around the house that require screwing and unscrewing dowels, fasteners and so on. 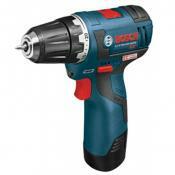 Choosing a cordless drill, you should also consider their features. More often than not, drills are used for long-term work, this is where the convenience of use comes down to the size of a drill. 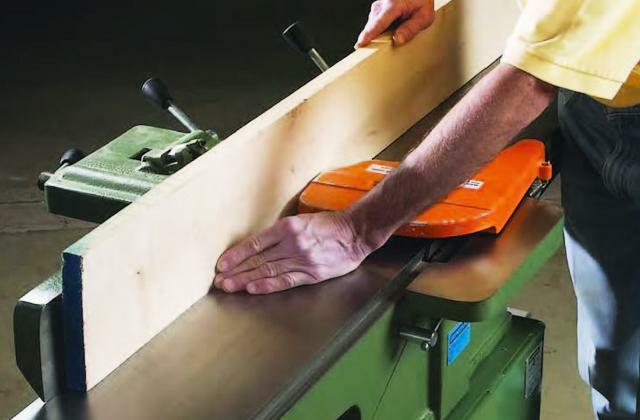 The tool shouldn’t be too unwieldy and is expected to provide an ergonomic grip. Yet, the drill that feels too small in hand might not be good for most dense materials and long-term jobs. The chuck of any particular cordless drill determines the size of the bit that it can work with. It also determines the grip. Thus, if you're planning to use the drill for heavy jobs, consider the drills with 1/2 chuck size. Those consumers who’ve already done some research on the Internet could probably see that all cordless drills differ in this or that way. To find the best-suited tool for your needs, consider the additional functions of different drills. 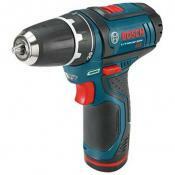 A cordless drill with hammer drilling capabilities will come in handy if you’ve got no puncher at hand. Built-in lights are great for working in dimly lit workspaces. The clutch will not let the motor burn or overheat when used on dense materials. Brushless motors are not a novelty nowadays, especially in the world of portable hand tools used in the construction. Many companies have a full line-up of such tools to meet the market needs and satisfy the most exacting users. Normally, brushless cordless drills are slightly more expensive than their standard counterparts, yet they will quickly pay off as they work by 30% more efficiently. Since brushless drills apply advanced electronics in order to operate properly, they also come packed high-quality lithium-ion batteries. In order to achieve an impressive boost in power, these cord-free tools utilize permanent magnets creating no physical contact and no power loss. On top of that, there are no metal brushes that get in contact with the magnet and thus, the armature of the engine is located in between two magnets that spin the rotor itself. A simple, yet highly effective way to make the drill driver spin is to use electronic switches that accordingly control response rotations. With that in mind, brushless models usually consume more power, and thus, need a battery with a much higher capacity instead of average-capacity batteries used in standard models. At the same time, however, they also provide a much longer continuous runtime as well as ensure a prolonged service life as compared to other cordless drills. Additionally, a better engine performance also offers more output force and power when it comes down to the high-efficiency drilling. Today, with an array of different models available, many brushless models (even those falling into a budget-friendly price-tag) can provide a corded-like experience, even on medium-to-low speed settings, which is quite impressive. That was achieved, thanks to considerable progress in the Li-ion battery technology in the last decade. Details aside, the brushless cordless drills proved to be more functionally versatile and that can be the key factor when it comes down to heavy-duty jobs that require all or nothing. 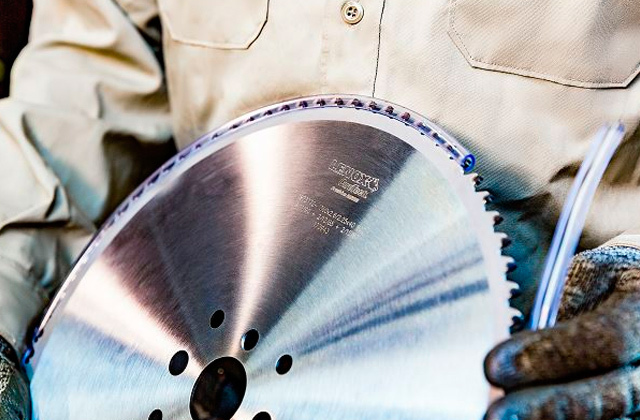 The history of portable hand tools spans over 100 years and there are a lot of features that still can be improved today. Initially, a portable drill was created and designed to be operated single-handedly by one person. However, with that being said, in 1916 it was far from the truth. The hand tools of that time were rather bulky, heavy, and extremely hard to operate. A lot of things changed since that time and the first cordless drill was finally created. The first ever cordless model was manufactured by Black & Decker back in 1961. The prototype featured a well-known design of a trigger switch to operate the drill and was powered by nickel-cadmium batteries. Surprisingly enough, the first drill with the trigger switch was also created by B & D company in 1917. The main purpose of the power drills of that time was the industrial and commercial use. 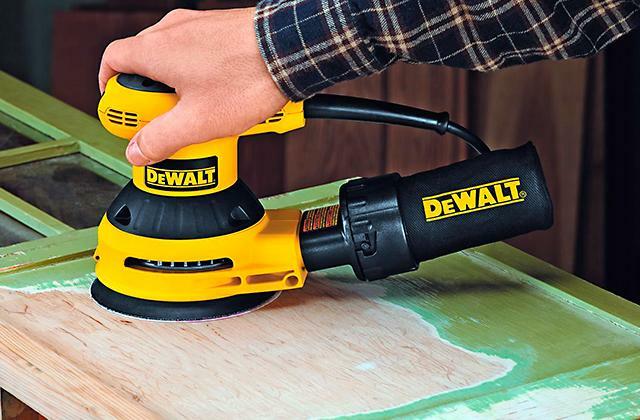 Since then, the technology was thoroughly improved during the following decades and many other companies tried to capitalize on the success of the cordless design. And eventually, many succeeded by introducing more and more new upgraded designs that were intended to significantly ease the drilling process, extend the tool applicability, and improve drilling results to the maximum. 1. 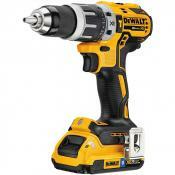 Cordless Drill and Tool Kit Buying Guide, Consumer Reports. 2. Cordless drill buying guide, Bunnings Warehouse. 3. Drill, Wikipedia. January 12, 2017. 4. ﻿Michael Duty How Does a Cordless Drill Work?﻿ eHow. 5. 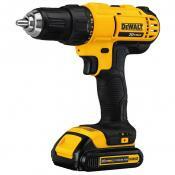 Steve Maxwell Know the Drill: What to Look for When Buying a Cordless Drill, Mother Earth News. 6. Everything you need to know about buying a drill, realestate. May 20, 2014.